An armed conflict between Riyadh and Tehran would have a major impact on oil markets and the global economy. RT asked experts what a war between the two Middle East superpowers would mean for crude prices. If a conflict happens, oil prices could increase 500 percent. “Energy prices will seriously depend on the severity of the conflict. Let's remember the unrecognized Iraqi Kurdistan, which in a state of continuous war exported about 550,000 barrels per day through Turkey. In this connection, we can expect a panic rise in oil price to $150-$200 on the first day of the conflict… If Saudis and Iran attack each other's oil facilities, crude prices can skyrocket to $300,” Mikhail Mashchenko, an analyst at the eToro social network for investors told RT. Iran & Saudi Arabia saber-rattling: Who would prevail in all-out war? Ivan Karyakin, an investment analyst at Global FX, points out that the area of possible conflict pumps a third of global oil. Saudi Arabia, Iraq, Iran, the United Arab Emirates, Kuwait, Oman, and Qatar together produce about 28 million barrels per day, which is slightly less than 30 percent of global production; prices will go up immediately to $150-180 per barrel, he said. “Then everything will depend on the duration of the conflict. The world market will survive two or three days of the conflict. If the conflict lasts a week, then prices will rise to $200 or higher, and this will have long-term consequences, as stockpiles will decrease,” Karyakin said. The analyst insists a war between Riyadh and Tehran is unlikely, as it's not in the interests of Russia and China.“Russia is a partner of many conflicting countries in the Middle East. Largest oil importer China, which carries the greatest risks in the event of a rise in oil prices, will use all its influence on Iran and the US to prevent a conflict,” he said. 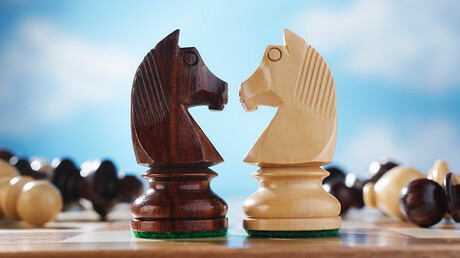 A war in the Middle East will be very unprofitable for importers, according to Ivan Kapustiansky, Forex Optimum analyst. “In the event of war, markets may lose about 20 percent of the world supply. First of all, of course, the largest importers will be affected. These include the US, China, Japan, as well as the eurozone, in fact, the main locomotives of the world economy,” he said. Both Saudi Arabia and Iran understand how crucial oil is to their economies, and will try to maintain production even in the event of a conflict, says Andrey Dyachenko, Head of Private Solutions Department of Сastle Family Office in Russia and the CIS. “Even a temporary drop of market share will mean that other players like the US will take their place. And they will not be able to get their market share back. Therefore, if such a conflict does happen, both Saudi Arabia and Iran will do everything possible to continue producing and supplying as much as possible,” he said. A sharp jump in oil prices and other hydrocarbons will threaten the stability of the entire global economy, as it will lead to a surge in inflation, warns Dyachenko. “At the time of relatively low growth rates, a significant jump in inflation will lead to the impoverishment of a large part of the world population,” he added. Both producers and importers will be forced to slash prices to prevent it, according to Dyachenko. 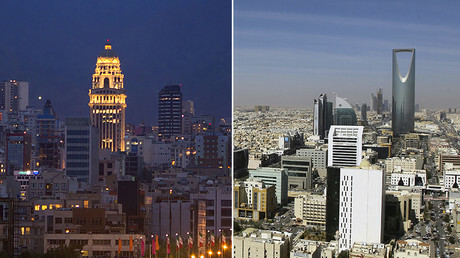 Relations between Riyadh and Tehran have seen worse times than now, assures Petr Pushkarev, Chief Analyst at TeleTrade. The Iranian revolution of 1978-79 and the death of Iranians during the Hajj pilgrimage in 1987, which led to the severing of diplomatic relations between Shia Iran and Sunni Saudi Arabia for three years, were a greater stress test for the countries. Saudi Arabia v Iran: What’s behind bitter feud between Middle Eastern powers? “For the coming years, Saudi Arabia itself is too busy with technological and innovative projects to replace the lost oil revenues. 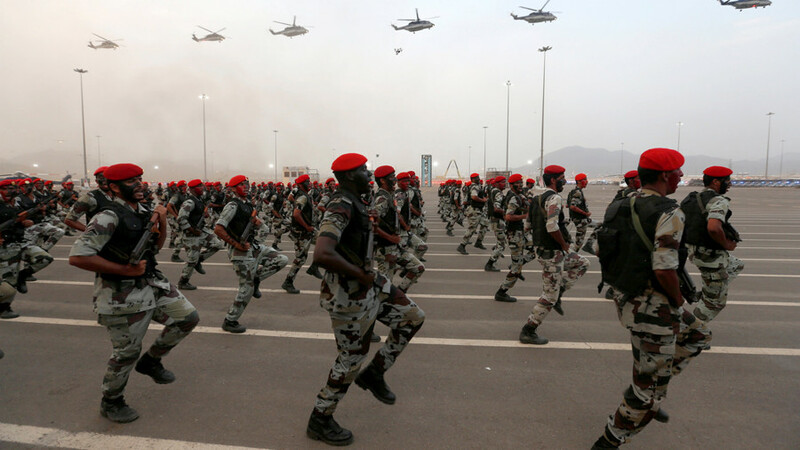 They are not at all ready for full-scale armed conflicts with their neighbors right now, which would be very costly, and very inappropriate at the time when Crown Prince Mohammed Bin Salman is intensely concentrating power around himself. Perhaps the presence of an external enemy like Iran can suit his purpose, but only in the mediated conflict on the territory of Yemen,” Pushkarev said. According to eToro's Mikhail Mashchenko, the war is unprofitable for both Saudi Arabia and Iran. "The Saudis, although they feel more confident than their eastern neighbors, have a budget deficit of 10 percent of GDP. Tehran has only begun to increase oil exports after a partial lifting of the sanctions,” he told RT. Most experts agree a conflict between Saudi Arabia and Iran will be limited to proxy wars like the ones going on in Yemen and Syria. The situation is comparable to the Cold War proxy wars between the United States and the Soviet Union.